Hope you have not been fooled too many times in the last days, as there were lots of jokes around the crypto space. My favourite was this one. So let’s start with the output from the recent G20 summit, and then go on with some food for your brain for the weekend! – Lightning is making its way to the mainstream, slowly but certainly. Let’s look at its history. – Speaking of history, it’s useful to look at evolution of money in the context of Bitcoin. – If you feel hopeless because of the price, this might cheer you up. – Do not despair – Bitcoin can’t be stopped anymore! – And it’s not only because of the Lightning Network, but also Rootstock which uses the concept of sidechains to allows smart contracts on Bitcoin. Did you know the difference between sidechains and drivechains? – Also a roadmap of what else we can expect in Bitcoin in the next months. – Did you know that there are people who wrote code for Bitcoin wallets only with their eyes? – And not only those are monitored by NSA, according to Snowden. 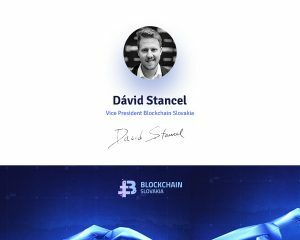 – SlushPool mined first ASIC boost blocks. – If you jumped into Ethereum just recently you certainly appreciate an insight into its chronicles. – And you probably know that ETH does not use UTXO model like Bitcoin. But instead it utilizes „states“. – You probably know that transacting on Ethereum consumes Gas. But what it is and how it works? – Bad voices spread rumours that Monero transactions are not that untraceable. – Monero’s team, however, did not wait for the response too long. – Aragon released a new version of its Core wallet. Now you can play round with DAOs on the testnet. – It’s been a while since the launch of Bancor – so how it can be used for other tokens? – 0x is one of the most prominent ETH-based altcoins. Take a look at its governance model. – What’s new in Cosmos – one of a few projects that focus on interblockchain communication? – Now you can send Bitcoin Cash via SMS. – Very nice comparison of smart contract platforms. – Zcash suffered from a Twitter storm from Giacomo Zucco. It was fun. – Could Cardano beat the Ethereum? – CoinMarketCap.com is a go to place for anyone to find info about coins. Rumours are the folks there abuse their position. – Nice comparative analysis of Blockchains vs. Distributed ledgers by Consensys. – OTC trading spikes in the past months! – SEC is going after crypto exchanges. – Coinbase will soon add ERC20 tokens. – Why is Proof-of-Stake inferior to PoW? – World’s biggest crypto exchange – Binance – is moving to Malta. – Many European companies are concerned with upcoming GDPR, what does it mean for Blockchain? – Are truly illicit activities financed mostly by crypto? – New vulnerabilities exploited in Ledger HW.